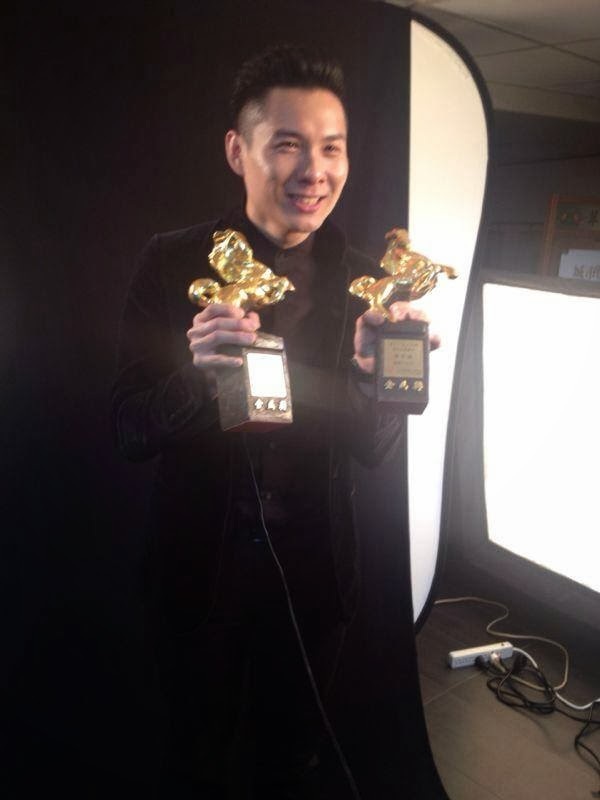 A personal take on the King of Mandopop, incorporating pics, vids and links to relevant websites and forums. NB: Absolutely no copyright infringement (of pics) intended. Well, much as I wanted to boycott watching said awards show because of their snubbing of The Rooftop, I really could not. This was because our very own Singapore film, Ilo Ilo, helmed by Anthony Chen had been nominated for six awards and even though I am mad as hell with Lee Ang and Co about Jay's non-nominations, I am also very happy with them about their recognition of Ilo Ilo. All things happen for a reason and I'm sure Jay will go on to do even more DIAO stuff in spite of this 'setback'. I also decided that it was better to concentrate on the positives of our Singapore movie's nominations instead of wallowing in indignation. 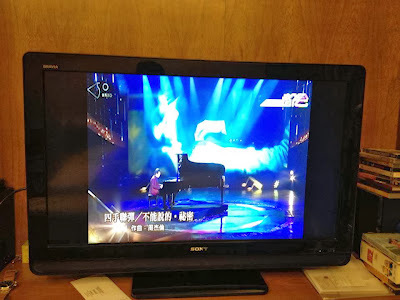 Haha....it was noteworthy that even though Jay was not at the awards, his music still made its presence felt when Lang Lang played the piano duet from Secret. This was a most commendable performance because that piece is actually for four hands and Lang Lang was playing with two! He mentioned as much when he presented an award after that, saying that he had to practise quite hard for it. A screenshot from my TV. Note the Chinese words which tell us it's from Secret and look at the background screen showing Jay's and Lunmei's hands in the movie. The camera also panned to Lunmei (who was in the audience) several times. Another instance when I heard Jay's music was during the breaks in the show when there were trailers being boradcast. 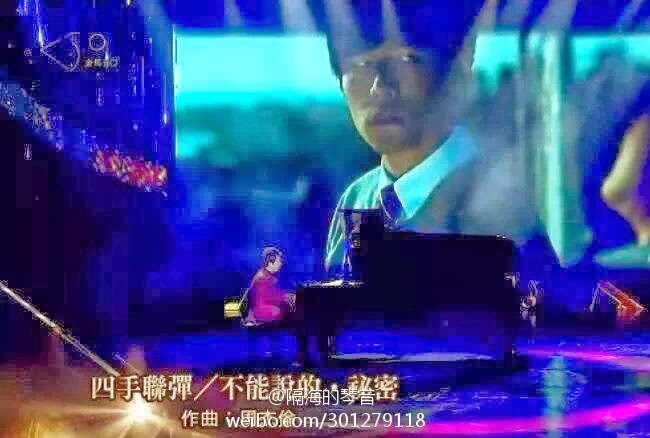 One was for a singing competition, Super M where the contestant had chosen to sing Jay's An Jing. So of course I could hear the familiar strains of Silence even though Jay himself was nowhere near the GHAs. Such is the power of his music! 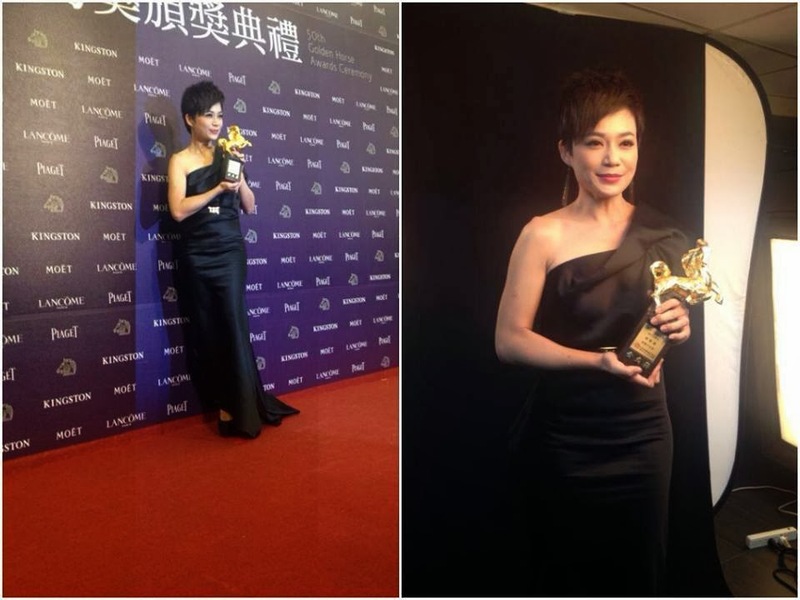 Anyway, Ilo Ilo came away with three awards viz Best Supporting Actress (Yeo Yann Yann), Best New Director (Anthony Chen), Best Original Screenplay (Anthony Chen) and the icing on the cake, Best Feature Film! A very good showing indeed and I hope it will boost our local movie industry even more. I'm now looking forward to OPUS JAY in Shenzhen tomorrow night! OPUS JAY: Dancers and Crew! Happy 13th birthday to JAY ALBUM!